Every marriage is an adventure; the wedding day and honeymoon are two of the journey’s highlights. They will be times that will be fondly remembered throughout a couple’s lifetime. The island of Mauritius is the ideal location to create picture-perfect memories of special times. “Where are you celebrating your wedding?” or “Where are you honeymooning?” These 2 questions will undoubtedly come up during the preparation of your union with your significant other. Why should your answer be Mauritius? Easy: because of the paradisiac setting and the congenial people. The majority of five-star hotels in Mauritius are located on the coast. There is an affluence of resorts and hotels on the coast, so you will have absolutely no trouble in finding your pick. Evidently, most of the top-notch hotels have wedding and honeymoon packages. Azure waters and white sandy beaches are a standard for Mauritian beaches. Imagine a beach wedding, with your close friends and family seated on the beach. You and your husband or wife facing each other. The background, crystalline blue Indian Ocean waters stretching towards a sunset on the horizon. On the southwestern tip of the Island, in Le Morne, there are even hotels nestled between pearly-white beaches and the mountain of Le Morne Brabant. Doesn’t spending a honeymoon there sound perfect? The stuff dreams are made of, right? Rest assured that Mauritius is here to make this dream come true. 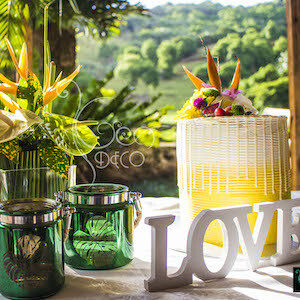 The Mauritian people may well be one of the most charming aspects of your wedding and honeymoon celebrations. Hospitability is embedded in the Mauritian culture. The highly trained hotel employees will evidently be at your beck and call, and exceptional service should be expected from them. That is a given. When we say that Mauritian people are hospitable, however, we mean the people in towns or villages around the island. This aspect of life on the island of Mauritius is what will make your wedding and honeymoon periods magical. You will have the opportunity to interact with a truly multicultural people. And let’s not forget the Mauritian cuisine, which has become indigenous, although it is greatly inspired by Indian, Chinese and even Arabic cuisines. Mauritius is a choice wedding and honeymoon destination; ask around! We could go on and on with trying to convince you why Mauritius should be your choice for a wedding or honeymoon. Fact is that this experience has to be lived to be fully comprehended. So, we encourage you to ask around. Find friends or acquaintances that have been to Mauritius. Get their impressions about their time on the Island. You can also visit hotel websites, and see the wedding and honeymoon pictures. The best hotels have experienced photographers and videographers working for them. They are here to immortalise moments from your wedding and honeymoon. STAGE’IN is an Event production Company which provides a fresh and innovative view of event management. Our aim is to always ensure the most effective organisation and smooth running of an event according to our clients’ expectations. 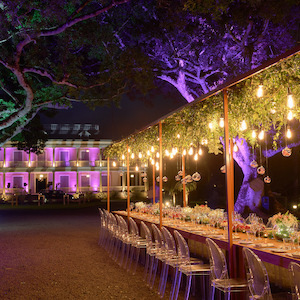 Attentive to details and always in the heart of action, our dynamic team will take care of your event from A to Z and make you feel comfortable at any time of the process — as a partner and not only as a supplier. At Stage’In, we love doing things differently and always seek for the X-factor that will make your event an exceptional and unique one. 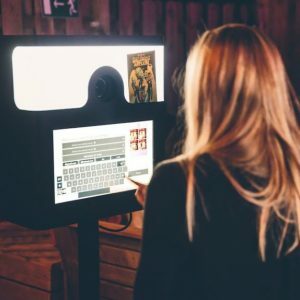 Experience the best PhotoBooth in Mauritius and be ready for Pictures you’ve never expected ! For all your events : wedding, birthday, company. Let us bring the craziest and funniest ambiance. Choose your personalized background and let’s go for the party !!! In the North of Mauritius, next to Cap Malheureux, the beach of Anse la Raie is surely one of the best spots for kite surfing. 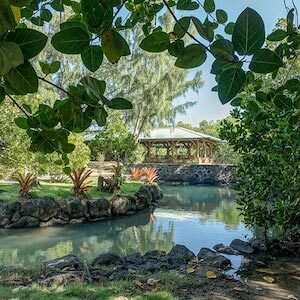 The beautiful cove offering a wonderful setting is ideal for nature lovers. But away from the beach, is a unique and much more intimate place. Hidden in a lush mangrove, Les Palétuviers enjoys an enchanting setting thanks to its unique location, halfway between a turquoise lagoon and an endemic forest. Kreadeco Event is a company owned by two sisters, Cindy Baboo and Winnie Ozone, situated in Souillac, Mauritius. At Kreadeco, planning weddings is a passion, we blends imagination, creativity and know-how to create unique and memorable wedding themed and all importantly, stressed free. 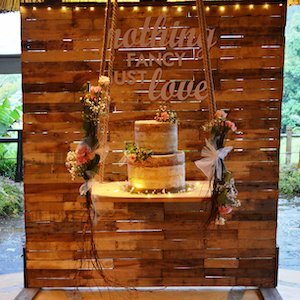 Having planned numerous weddings in Mauritius, we want to tell you that we’ve got the expertise to guide you through every step of planning the decoration of your wedding. Creativity and finesse is our motto at Hancrafted with Love. We propose personalized decorations for every special moments of your life (Weddings, birthdays, christenings and many more) Each decoration is a unique work of art and no two are exactly the same. 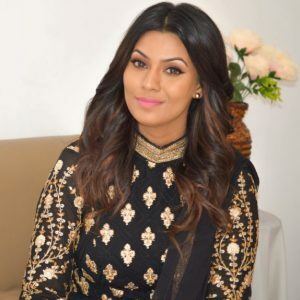 Siddiquah Rujak is a well-known makeup artist having promoted different makeup brands such as Bourjois, Kryolan and Star’s recent relaunch. She has done numerous fashion shoots for magazines such as Essentielle, lifestyle, Fashion TV and Sunday magazine. She is the Official Makeup Artist for fashion brands such as Body & Soul and Island Haze. She is the Official makeup artist for the prestigious Miss Supranational Mauritius for the past 3 editions. She has trained over 300 Makeup Artists in Mauritius in the past 7 years, as well as doing makeups for brides, both foreign and local. Daphné Ducasse Karkutt, born and raised in Mauritius. Her profound passion for designing was obvious from the beginning. The designer education career in Europe helped her create her individual and unmistakable style, resulting in the launch of her brand Daphne.D in 2016. Daphne’s Ducasse experiences, allowed her today to understand and adapt to the needs of the fashion design industry. 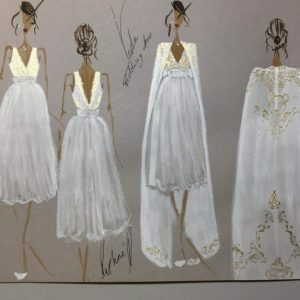 She distinguished herself by specializing in wedding dresses and occasional wear and personally creating unique pieces for each client. Feel free to contact daphne.ducasse@live.fr or by phone (+230) 57995268 about any questions, proposals or potential collaborations. 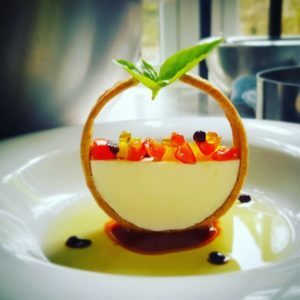 Epicurean at heart, I cultivate my passion for gastronomy by thinking of new culinary creations … It is with this crazy desire to share them with you that I created Pensée Gourmande. Formed by renowned chefs and graduated from a great school of gastronomy in Bordeaux, I now put on my chef’s apron at home and invite me into your kitchen. I concoct gourmet dishes by combining new flavors for a refined and warm experience, with family, friends or with your colleagues. Sharing tropical vibes from the paradise island of Mauritius. 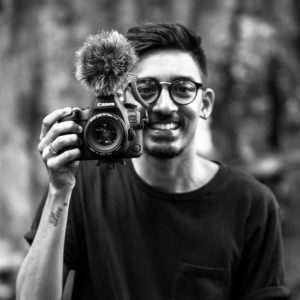 Dylan Mannick and his team, Kotsud Studio can promise you they’ll put a smile on your faces! From wedding ceremonies, the preparation, or only a shooting, they will make each of your experiences unique. 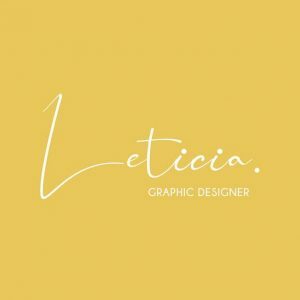 I’m Léticia, a freelance graphic designer and artist based in Mauritius. Being a Designer is my passion in life and I will be happy to work with you and show you my talent. For all your graphic works, photos, logos, business cards, brochures, newsletters, calendars, magazines, books, invitations, flyers, menus, wedding & save the date invitations feel free to contact me and I will help you! Original documentation must be produced on the wedding day. Documents not in English must be translated into English and duly stamped. Religious wedding ceremonies can only take place between Mondays and Friday, and subject to the availability of the registrar. Ceremonies of this kind cannot take place on public holidays. A visit to Port Louis will be arranged to sign affidavits before the D-Day.